The monk Theodore al-Antoui (from Anba Antonius Monastery in Egypt’s Eastern Desert) will be consecrated the new Coptic Orthodox Bishop of Jerusalem. The consecration ceremony is scheduled to take place at the hands of Pope Tawadros II on Sunday 28 February 2016. Fr Theodore was born in 1969 in the southern town of Abu-Teeg; his birth name was Emad Timotheus Sharmoukh. His father was a priest and he has four brothers, two priests and a painter; and two sisters, a pharmacist and a teacher. Their father, Fr Timotheus, was deputy to the Bishop of Abu-Teeg, Sadafa, and al-Ghanayem for some 50 years. 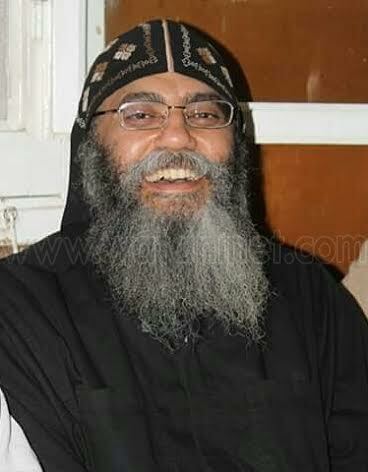 Fr Theodore is known for his beautiful, angelic voice, and his special interest in Coptic hymns and melody. As a young man, he formed a choir that went on to win a number of prizes and awards in church contests. His mentor and teacher was the late Fr Theophilus of the monastery of the Holy Virgin at al-Muharraq in Assiut. After earning a degree in agriculture from Assiut University he studied medicine and obtained his degree in 1994. He later opened a pharmacy but it was not long before Fr Theodore chose to forego all worldly interests and take orders at Anba Antonius monastery. In a gesture of sacrifice, his father and family took him to Anba Yustus, Abbot of Anba Antonius’s, as an offering to the Lord. He took orders in 2008, and was modest, gentle, and loved by all. He first served with the monastery’s pharmacy then joined the monastery’s mission in Cairo to serve the sick and aged fathers. In 2012, he was ordained a priest. Two years ago Fr Theodore was chosen by Pope Tawadros II for a four-year scholarship in Greece. He spent two years there but is now back because he has been nominated by Anba Yustus and others to be the new bishop of Jerusalem after Metropolitan Anba Abraham passed away in November 2015. It has been an almost unbroken tradition that the bishop of Jerusalem would be elected form among the monks at Anba Antonius’s. The late Anba Abraham was an exception to the rule since he came from Anba Bishoi’s Monastery in the Western Desert.